I’ve recently become quite fascinated with natural dyes and eco printing. It is amazing what you can use to dye fabric or yarn… food remains like onion skins and avocado pits or flowers and leaves create a variety of colours and sometimes pattern too. There are several different methods which can give different results depending on what look you are going for. But I will cover the different techniques individually in more detail in later posts. As with most of my new obsessions, it started with something I saw on Pinterest. I have now made a board on the topic, so if you are looking for more inspiration check out my ‘Natural Dyes and Eco Printing’ board. My next step is usually to look on etsy to see what other people are making. 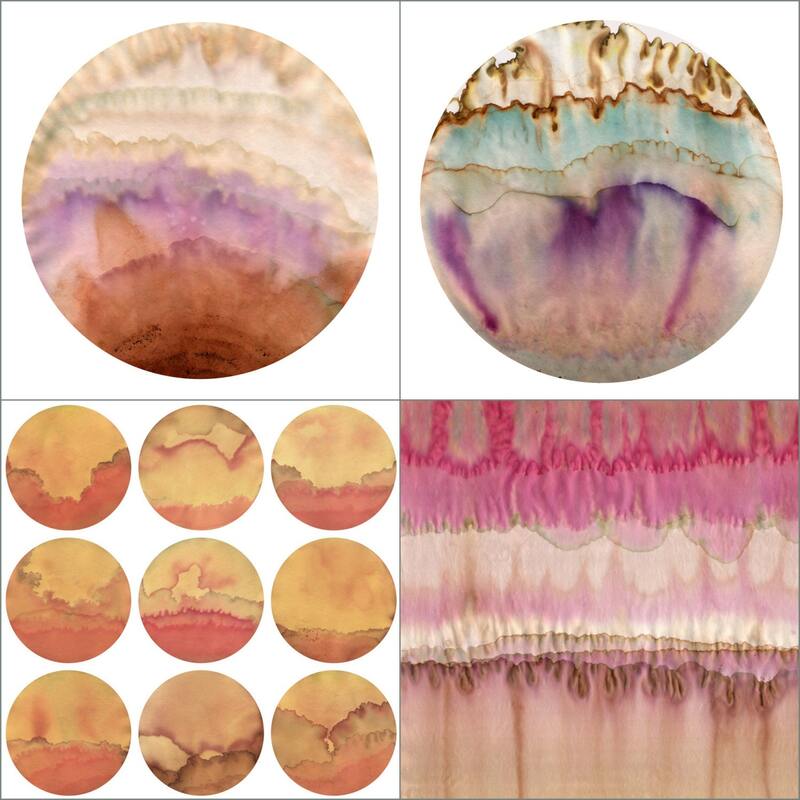 I found this amazing project by ImmySmithArt which uses plant dye to make ‘chromoscapes‘ in order to “create a visual chemical memory of the places plants were collected”. How awesome is that?! You can also find a whole range of different items of clothing that have been eco printed on etsy. 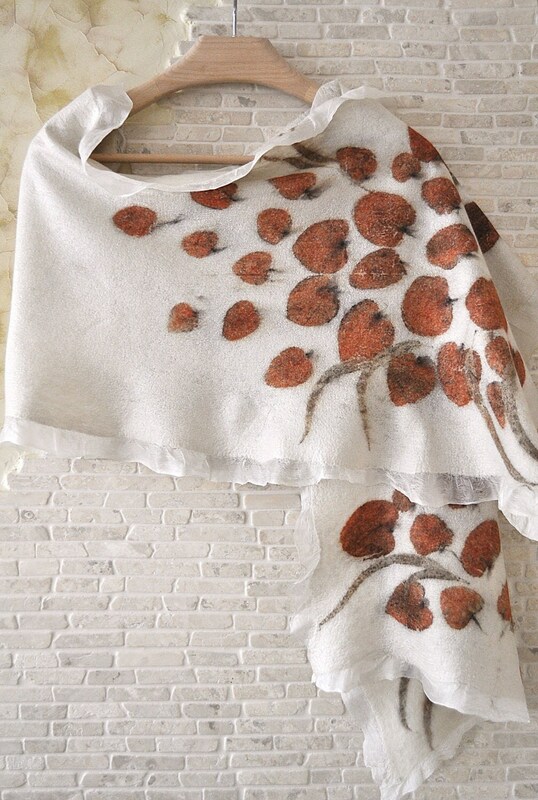 I have picked this shawl to showcase as I think it shows the real potential of eco printing. It is well designed, has vivid colours and crisp lines. So having been inspired and done a little research, I decided to have a go myself. I was lucky enough to be at my parents house where I could plunder the garden for the materials I needed. I more or less followed the instructions from Frankie, using rose petals, a variety of leaves and some rusty nails. I pinched some apple cider vinegar from my mum and soaked the plain white cotton fabric in it. Laying the fabric out flat, I then placed on it the petals and leaves before wrapping them around the nails. I tightly tied the bundle up with string and put it in a steamer for just under two hours. The results were mixed, but not bad for the first time. In some places you can see the rose petals coming through and the outline of some leaves. For a first attempt I was quite pleased with the result and it is definitely something I will be trying again in the near future. Keep an eye on the blog for more about natural dyes and eco printing. For more information there are several resources out there on this topic including Angela Daymond’s Dyeing from Natures Store Cupboard. 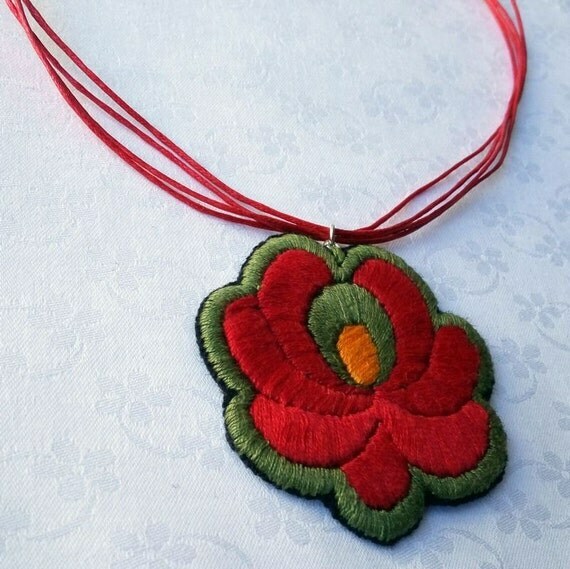 This week I’ve been obsessed with traditional Hungarian embroidery. This style is known for its bright colours and nature inspired patterns. 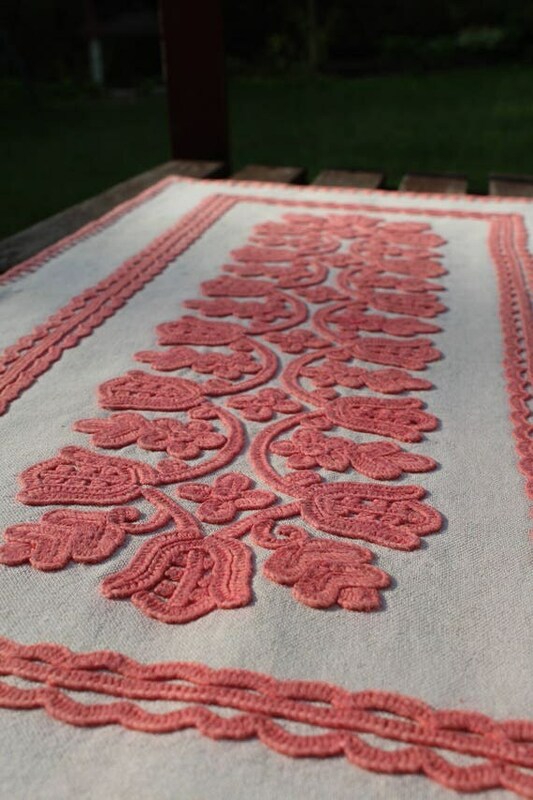 There are a few regional variations such as Matyo or Kalocsa, with multi coloured motifs of flowers and fruit, but my favourites are the simple red or blue patterns that make great table runners. For more Hungarian Embroidery see my Pinterest board here.